The Battle of Kobryn was a battle that took place on 27 July 1812 between the Russian and Saxon forces in the city of Kobryn at the initial stage of the French invasion of Russia. The battle was the first major victory of Russian forces in the Patriotic War of 1812. On 24 June 1812 Napoleon invaded the Russian Empire on a broad front from Brest to the Baltic sea in the north. The main French forces crossed the Neman in Lithuania and acted against the 1st and 2nd Russian armies stationed there. 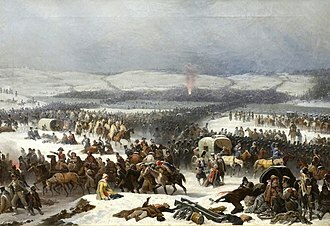 33,000-strong Austrian corps of Schwarzenberg crossed the Bug River in the south, who moved troops to Russian Empire due to alliance between Austrian Empire and Napoleon. Austria was compelled to participate in the French invasion of Russia as a French vassal, but gave its commander Schwarzenberg tacit instructions not to be zealous and not to move far from the borders. Schwarzenberg was opposed by the 3rd Observational Army of Russian General of the Cavalry Tormasov, whose strength varies greatly in different documents. Historians count that Tormasov's army had 45,000 men, Clausewitz determines its number at 35,000 men, and Prince Vyazemsky (commander of the 15th Division as part of the Third Army) in his notes mentions about 25,000 combatants in the Third Army, 160 guns and garrisons placed in territories of modern-day Belarus and the north-west Ukraine, which probably also belonged to the Third Army. The Observational Army guarded the borders of the Russian Empire from Austria and the Duchy of Warsaw in modern territories of the south of Belarus and the north-west of Ukraine. With the outbreak of the war, the Austrians covered the right flank of Napoleon from the Russian Third Army, stationing the border garrisons along Brest—Kobryn—Pinsk line with a length of 170 kilometers. Initially, the case was limited to maneuvers, the Russians and Austrians watched each other without entering into fights. On 17 July, Tormasov received orders from War Minister Barclay de Tolly to act on the right flank of the French army, wedged into Russian territory by a deep wedge. The order successfully coincided with the rearrangement of troops in the enemy camp. 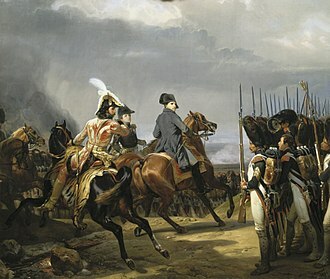 Napoleon recalled the Austrians to the main direction, instead of them sending the Reynier's 7th Saxon corps (17,000 men). Napoleon mistakenly underestimated the strength of the Third Army, believing that the corps of Reynier could hold back the Russians before Chichagov's Danube Army will arrive to Tormasov from Moldova. 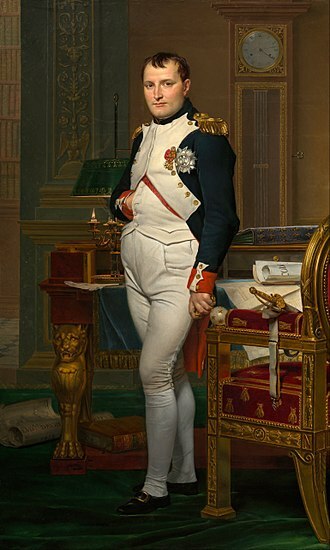 The original plan of Napoleon meant a lightning campaign. It was planned to destroy the Western Russian armies in a general battle and force the tsar to ask for peace. Tormasov attacked at a time when the Austrians had withdrawn their troops, and the Saxons had not yet taken a fully defensive line. According to the plan, the first goal was to capture Brest, and then Kobryn. The detachment of Lieutenant General Sacken covered the rear, staying in Lutsk. The main forces (3 cavalry and 11 infantry regiments) under the command of Tormasov moved to Kobryn along the southern road. The detachment of Major General Lambert, consisting of two Jaegers and two cavalry regiments, was sent to Brest. The detachment of Major General Scherbatov, consisting of two cavalry regiments, was sent to Brest from another direction. Lambert and Scherbatov's detachments after the occupation of Brest had to attack Kobryn from the west. The detachment of Major General Melissino (1 cavalry regiment and about an infantry battalion) was sent to Pinsk to demonstrate activity and to deceive Reynier about Tormasov's intentions. On 24 July, General Scherbatov occupied Brest, knocking out 2 enemy squadrons from the corps of Reynier. At the same time General Melissino on 25 July beat out group of Saxons from Pinsk in 170 kilometers from Brest. Reynier with the main forces was near Yanov, approximately in the middle between Kobryn and Pinsk, in a condition of some confusion, unable to determine the direction of the main blow of the Russians and their strength. On 27 July, the main Russian forces (up to 18,000 soldiers, 130 guns) approached Kobryn. Tormasov came from the south, and the detachments of Lambert and Scherbatov came from the west. Kobryn was a small town with a population of about 2 thousand inhabitants in the south-west of modern Belarus, on the Mukhavets River (an eastern tributary of the Bug River). Kobryn was occupied by a 5,000-strong Saxon brigade commanded by Major General Klengel from the 22nd Infantry Division of the Reynier corps. Saxons expected Russians from Brest and took a position 2 kilometers from the city, placing the cavalry on the road, and the riflemen along the road. From the south, Saxons settled in the manor houses on the outskirts, blocking the entrance to the Tormasov's vanguard. Lambert in the west early in the morning attacked the enemy with the forces of irregular cavalry, trying to entice the Saxons into the open field. Tormasov ordered General Chaplits to bypass Kobryn from the east with the vanguard, leaving a little cavalry to block the soldiers of Klengel, who had settled in the buildings on the southern outskirts. Lambert managed to bring down the Saxons' cover from the road, but they were entrenched in urban buildings, barring the way to the city from the west. When Chaplits broke with the 13th Jaeger Regiment in Kobryn from the east, Lambert sent two regiments of irregular cavalry to the northern road to the Pruzhany to cut off the Saxons' escape routes. Thus the brigade of Klengel was completely surrounded. The Saxons tried to bring down the Russian cover from the road to the Pruzhany, but were pushed back to Kobryn. All in flame, wives, girls in only shirts, children, all fleeing and seeking salvation; the battle in the fire, the rapid movement of troops, scattered enemy transporters, roaring and running cattle through the field, the dust eclipsed the sun, horror everywhere. By noon the battle was over, the surviving Saxons led by General Klengel were driven into the half-ruined Kobryn castles (part of the gift of Catherine II to count Alexander Suvorov) and surrendered. According to the report of Tormasov, up to 2,000 Saxons were killed, 2 generals were captured, including Klengel himself, 76 officers and 2,382 lower ranks, 2 battalion banners, 2 standards and 8 guns were captured. The losses of the Russian army amounted to 77 people killed and 181 wounded. The Russian Tsar generously noted the first major victory in the French invasion of Russia. Tormasov received the Order of St. George of the 2nd degree and 50 thousand rubles, count Lambert received a golden sword with the inscription "For Bravery", decorated with diamonds. Also the Order of St. George of the 4th degree was awarded to the commander of the 13th Jaeger Regiment, Major Izbashi. Two banners were captured in battle, the banner of the 1st battalion of the Saxon Royal Infantry Regiment (later known as the Saxon Leib Grenadier Regiment No. 100) and the banner of the Saxon Infantry Regiment of Nizemeisel, that was later dissolved. Both were kept in the Kazan Cathedral in St. Petersburg. Also there was stored one of the banners of the Ulan Regiment of General Clement. On the day of the defeat of the Saxon brigade in Kobryn in the main direction, the 1st Russian army retreated from Napoleon forces to Smolensk after heavy rearguard battles near Vitebsk. Reynier didn't reach 25 kilometers to Kobryn. 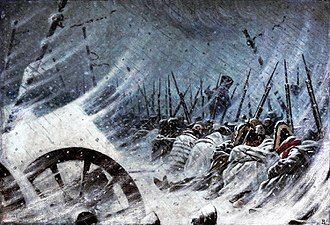 Upon learning of the defeat of his brigade, he began to retreat north to Slonim, pursued by the detachments of Tormasov. Schwarzenberg with the consent of Napoleon turned to the help the 7th Corps of Reynier. Thus Tormasov's army pulled on itself a powerful Schwarzenberg's forces, weakened the French troops in the Moscow direction. On 12 August the combined forces of Schwarzenberg and Reynier attacked under Gorodechno (slightly north of Kobryn) Tormasov's forces estimated by Prince Vyazemsky of 16,000 soldiers. The Russians lost up to 1,200 soldiers and by September retreated south to Lutsk, fortifying themselves on the eastern bank of the Styr River. With the approach in mid-September 1812 of the Chichagov's Danube army Tormasov gained superiority over the Schwarzenberg and on 23 September went on the offensive. Kobryn is the first victory over Napoleon's troops in Patriotic War of 1812. Alexander Petrovich Tormasov's report to Tsar Alexander I on August 14, 1812. Diary of Prince Vasily Vasilyevich Vyazemsky, commander of the 15th infantry division in the 3rd Tormasov's army. Kazan Cathedral or Kazanskiy Kafedralniy Sobor, known as the Cathedral of Our Lady of Kazan, is a cathedral of the Russian Orthodox Church on the Nevsky Prospekt in Saint Petersburg. It is dedicated to Our Lady of Kazan, probably the most venerated icon in Russia, construction of the cathedral started in 1801 and continued for ten years under the supervision of Alexander Sergeyevich Stroganov. Upon its completion in 1811, the new temple replaced the Church of Nativity of the Theotokos, the architect Andrey Voronikhin modelled the building on St. Peters Basilica in Rome. Some art historians assert that Emperor Paul intended to build a church on the other side of Nevsky Prospect that would mirror the Kazan Cathedral. Although the Russian Orthodox Church strongly disapproved of the plans to create a replica of a Catholic basilica in Russias capital, several courtiers supported Voronikhins Empire Style design. After Napoleon invaded Russia and the commander-in-chief General Mikhail Kutuzov asked Our Lady of Kazan for help, the Patriotic War over, Russians saw the cathedral primarily as a memorial to their victory over Napoleon. Kutuzov himself was interred in the cathedral in 1813, and Alexander Pushkin wrote celebrated lines meditating over his sepulchre, in 1815 keys to seventeen cities and eight fortresses were brought by the victorious Russian army from Europe and placed in the cathedrals sacristy. In 1837, Boris Orlovsky designed two statues of Kutuzov and of Barclay de Tolly which stand in front of the cathedral. In 1876 the Kazan demonstration, the first political demonstration in Russia, after the Russian Revolution of 1917 the authorities closed the cathedral. In November 1932 it reopened as the pro-Marxist Museum of the History of Religion, services resumed in 1992, and four years the cathedral was returned to the Russian Orthodox Church. As of 2017 it functions as the cathedral of the metropolis of St. Petersburg. The cathedrals interior, with its numerous columns, echoes the exterior colonnade and is reminiscent of a palatial hall, the interior features numerous sculptures and icons created by the best Russian artists of the day. A wrought-iron grille separating the cathedral from a square behind it is sometimes cited as one of the finest ever constructed. Count Alexander Petrovich Tormasov was a Russian cavalry general prominent during the Napoleonic Wars. Alexander Tormasov was born on 22 August 1752 into an old Russian noble family, at the age of ten, he entered service as a Page of Honour, aged 20 in 1772 he began military service as a lieutenant of the Vyatka infantry regiment. Within a few weeks he joined the staff of Yakov Bruce as aide-de-camp, three years Tormasov formed and headed the Finland Chasseur regiment with the rank of lieutenant colonel. 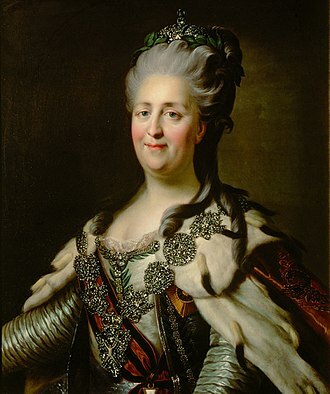 In 1782 Prince Potemkin charged to him an operation in the Crimea, following that Tormasov commanded the Dolmatsky Hussars, on the base of which he formed and led the Aleksandrian light cavalry regiment with the rank of colonel. In 1788–1791 he took part in the Russo-Turkish War, serving at the Siege of Ochakov and the Danube river raids and he commanded the left flank cavalry at the storm of Machin, for which he received the Order of St. George 3rd Class. 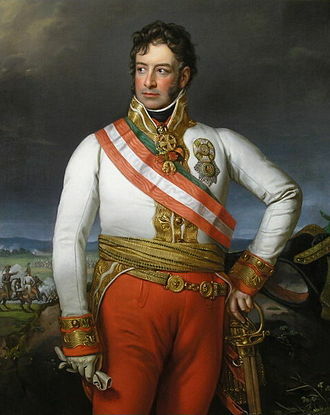 Like many other generals of this time, he was dismissed by Emperor Paul I on 11 July 1799 and was imprisoned in the Dünamünde fortress for several months, on 16 November 1800 he was restored in the army. On 15 September 1801, on the day of the coronation of the new Emperor Alexander I he was promoted to Full General of cavalry, he took up an administrative post until 1803. 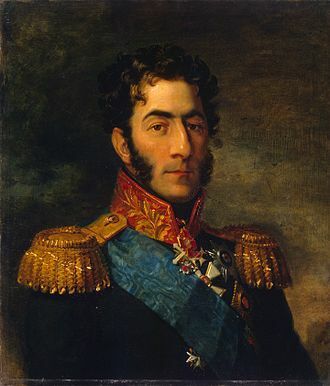 From 1803 Tormasov served as governor of Kiev and from 1807 Riga, from 1809 to 1811, he served as a Viceroy of Georgia and as the commander-in-chief in the Caucasus. After the French invasion of Russia began, Tormasov became the Chief Commander of the 40, advancing North against Jean Reynier in mid July, he overwhelmed Klengels Saxon brigade at Kobryn 27th, marking the first Russian victory in the campaign. Tormasov received the Order of St. George 2nd Class for this, defeated in turn by Reynier and Schwarzenberg at Gorodetschna 12 August, he withdrew to Ratno to join with the corps of Pavel Chichagov, meeting him on the river Styr 18 September. The combined command acted under the orders of Mikhail Kutuzov, ordered to envelop the Grande Armée at Liady, he was however recalled to the main army by Kutusov after being repulsed at the 2nd Battle of Krasnoe 15 November. Pruzhany is a town in Brest Voblast, Belarus. Pruzhany is the center of a district in Brest Region and its population is about 20,000 people. The town is located at the confluence of the Mukha River and the Vets Canal, Pruzhany has been known as Dabuchyn since 1487. In the 16th century, it belonged to queen Bona Sforza of Poland and she brought Renaissance influence and development of trades in this part of the Polish-Lithuanian Commonwealth. In 1589, her daughter Anna granted a charter and the coat of arms of Pruzhany. The coat of arms was borrowed from that of the Sforza family of Milan, Pruzhany was a center of pottery trade at those times. In the mid-19th century, a wealthy Polish landlord, Walenty Szwykowski, laid out a park and built a palace that houses a museum today. The museum has a collection on the history and arts of the region. Another tourist attraction is the landmark at the confluence of the Mukha River and it presents a statue of a passionate pair rising over waves. The Jewish population in 1900 was 5,080, during World War II, Pruzhany was occupied by the Germans from 26 June 1941 to 17 July 1944. Kovel is a town in Volyn Oblast, in northwestern Ukraine. Serving as the center of Kovel Raion, the town itself is designated as a town of oblast significance and is not part of the raion. Population,69, 342 Kovel gives its name to one of the oldest Runic inscriptions which were lost during World War II, the Kovel spearhead, unearthed near the town in 1858, contained text in Gothic language. Kovel was first mentioned in 1310 and it received city rights from the Polish King Sigismund I the Old in 1518. In 1547 the owner of Kowel became Bona Sforza, Polish queen, in 1564 starost of Kowel became Kurbski. From 1566 to 1795 it was part of the Volhynian Voivodeship, Kowel was a royal city of Poland. After the Partitions of Poland the town fell into the Russian Empire for over a hundred years, during the First World War, the city was a site of the Battle of Kovel between the Central Powers and the Russian Empire. In the interwar period, Kovel served as the capital of Kovel County in Volhynian Voivodeship of the Polish Republic and it was an important garrison of the Polish Army, here the headquarters of the 27th Volhynian Infantry Division was located. Furthermore, at the village of Czerkasy, a depot of the Polish Army was located. In 1924, construction of the St. Stanislaus Bishop and Martyr Roman Catholic church began, in World War II, following the Nazi German invasion of Poland and subsequently, their Operation Barbarossa the Germans murdered 18,000 Jews in Kovel, mostly during August and September 1942. About 8,000 Jews were murdered in the forest near Bakhiv on August 19,1942 during the liquidation of the Kovel ghetto, jewish victims were driven by train from Kovel to Bakhiv where pits were dug close to the railroads. Actually there were two ghettos, one within the city and another in the suburbs of Pyaski, both numbered about 24,000, the Jews from two ghettos were executed at different places and at different time. Later on, in March and April 1944, Kovel was a site of fighting between the 5th SS Panzer Division Wiking and the Red Army. During the Volhynian Genocide, the town was a shelter for ethnic Poles, in that period, Ukrainian nationalists murdered app.3,700 Polish inhabitants of Kovel county.